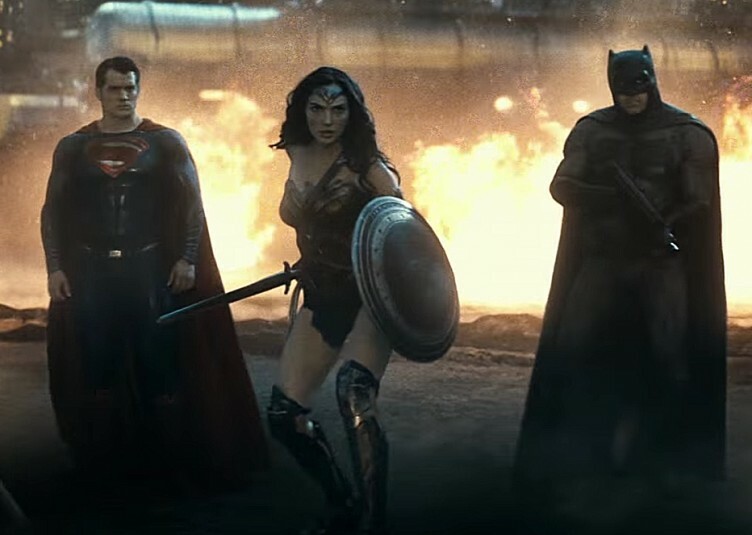 So, the second Batman V. Superman: Dawn of Justice trailer. Here’s the good news. I can at least SEE what’s going on in the damn trailer. The previous ones seem to have been so freaking dark I needed NVGs to see. Other news: we might actually have a glimmer of a PLOT. Gasp! Shock! Horror! Aside than that … why do I care? No, really, watch it again if you so desire. Introducing Clark Kent and Bruce Wayne at a party feels similar to sections of the cartoon series, of which I approve. However, the entire point of Bruce Wayne is that he’s the mask that Batman wears. He’s bright and friendly and charismatic. He hides what he is, and is the least likely suspect for Batman in the entire city of Gotham. Bruce Wayne is pleasant and charming, Batman is brooding and serious. And Kent’s line about how “Civil liberties are being trampled on”? Really? Batman roughs up criminals and throws mass murderers in jail. Are we trying to PC Batman again? Or did someone read the New York Times‘ original review of The Dark Knight and take it seriously? Yes, Clark Kent is supposed to be a bit of a farm boy, and the traditional beginning is for him to see Batman as a bit of a nutter, but civil liberties? Really? And “people living in fear”? No. Criminals in fear, yes, but unless this is really early in Batman’s career (in which case, Ben Affleck is WAY too old for this as a beginner), the only people who fear Batman are crooks. “Freaks dressed like clowns”… funny, the Superman outfit isn’t that clownish to me. And dear God, can we talk about Lex Luthor? No, seriously, who decided that Lex should come of like he should be the Joker? A clown? He comes off like a deranged goofball, not a cold calculating businessman, or even a criminal mastermind. Hell, if you want to argue that’s his disguise, then why the hell couldn’t they have done that with Bruce Wayne, as he’s usually written! Gah. this is annoying me no end. And seriously, can someone tell me why Superman has armed troops bowing to him? I’ll get back to that in a minute. Also, dear Bruce Wayne — when even Alfred tells you that it’s suicide, that probably means it’s suicide. Once more, whose bright idea was it to make Jeremy Irons Alfred? Really? It makes as much sense as getting Christopher Lee before he died. Or Mark Gatiss while he’s still playing Mycroft. And then there’s Lex Luthor playing with General Zod’s body. You know that can only end well. The creature at the 2:16 mark, anyway. Considering that this is the creature, in the comics, that killed Superman, I think unleashing him as Lex’s killer science project is a little early. Okay, a lot early. This is only the second superman film, and we’re playing the ultimate killer card already? Now, here, Doomsday firing lasers out of his eyes, implies that he’s built from the body of General Zod. My first thought is that this should be Bizarro, a poor attempt at a Superman clone. This appearance by Doomsday is shortly followed by Wonder Woman. Which leads to the one most genuinely badass shot in the entire trailer at 2:38. That image? Right there? That makes me tempted to see the film. But otherwise … no. Not really. The characters feel off, and it’s still a touch too dark for my taste. Will someone please tell the cinematographer to stop with the filters? And why is Lex Luthor the only one in the commercial with any speck of charisma? Video | This entry was posted in Commentary, Fiction, Rants, Science Fiction and tagged Batman, Batman vs. Superman, DC, DC Comics, Film, Movie Trailer, Movies, Superhero. Bookmark the permalink. I’m more excited for Civil War, and this is coming from somebody who’s getting tired of Marvel.